The new plan creates guidelines for how states should require power plants to become more efficient. It is a narrower way to limit emissions at the source, often called “inside the fence line” regulation. It gives states three years to come up with a plan based on specific power plants within their borders, and submit them to the EPA for review. The Pennsylvania Coal Alliance, a trade group, praised the move. Executive Director Rachel Gleason said that because Pennsylvania is a net energy exporter, it will help protect jobs. Rob Altenburg, director of PennFuture’s Energy Center, disagrees with the Trump administration’s assertion that the Clean Power Plan overstepped EPA’s authority. Although it has a relatively small share of the global population, Pennsylvania is an energy powerhouse and a major contributor of greenhouse gases. In 2015, Pennsylvania was the third-largest carbon emitter among states, after Texas and California, according to the U.S. Energy Information Administration. Although the Trump administration has promised to prop up the ailing coal industry, it’s unclear how much impact the new ACE rule will have on the economic forces coal faces. 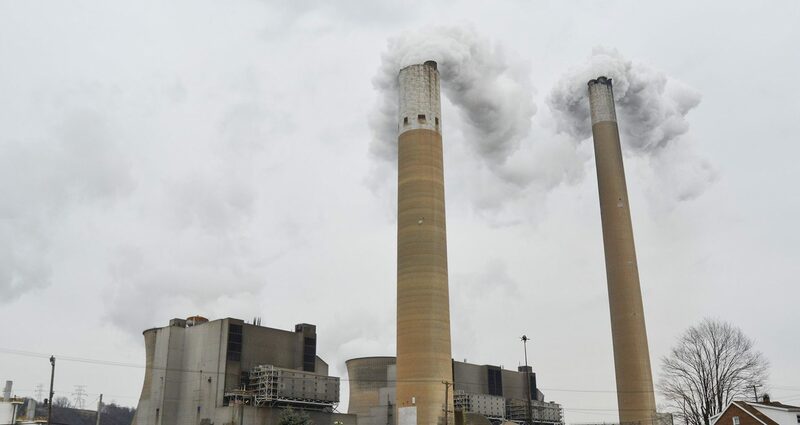 Christina Simeone, director of policy and external affairs at the Kleinman Center for Energy Policy at the University of Pennsylvania, said the new rule will not meaningfully reduce greenhouse gases, nor will it ensure a future for coal-fired plans. A 2017 analysis from Moody’s Investors Service predicted the rush to build new natural gas-fired power plants with the abundant reserves of Marcellus Shale natural gas would grow power supply 25 percent by 2021 in the PJM territory (the grid for the Mid-Atlantic region, including Pennsylvania). The report predicted it would cause on-peak prices to drop by 15 percent, leading to widespread closures or conversion to gas at coal-fired plants. Researchers from the nonpartisan environmental economic think tank, Resources for the Future, published an analysis Tuesday showing the Trump administration’s plan may only modestly reduce total CO2 emissions by 2.6 percent, and could lead to emissions increases at many facilities, making the meeting of emissions goals in certain states costlier. What was the Clean Power Plan, anyway?